Q4IT is a company focused on IT Service management in general, education, targeted workshops and implementation of process management based on globally valid practices and methods. 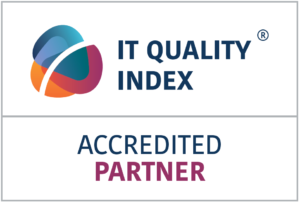 Our main target is improving quality of IT by trainings, workshops, improving processes, services, skills in IT. 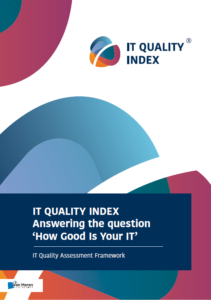 We know how to measure overall IT quality and compare quality levels against costs using IT QUALITY INDEX framework. Best practices like ITIL® are utilized and targeted to cover specific needs of particular customers. We understand the customer business and synthesize different methods including practices from non IT world. 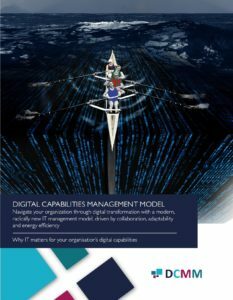 While theoretical knowledge is important, ITSM practitioners experience is the key to deliver know-how and fit to purpose solutions. Any theory is useless without a proper understanding of customer-company culture and management style. Integration of support processes like monitoring, security, asset management is important for efficient IT Service Management. We cooperate with partners focused on specific technologies and tools to deliver a proper solution tailored to identified needs. Our driving approach is cooperation with specialists and associated partners on an international scale. Our reference customers are distributed across private companies with different size and specializations, public sector and SMB. 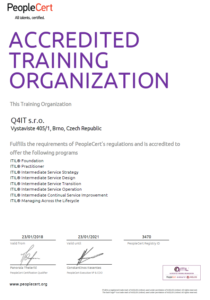 Certificate about ITIL Accredited Training Organization is here. 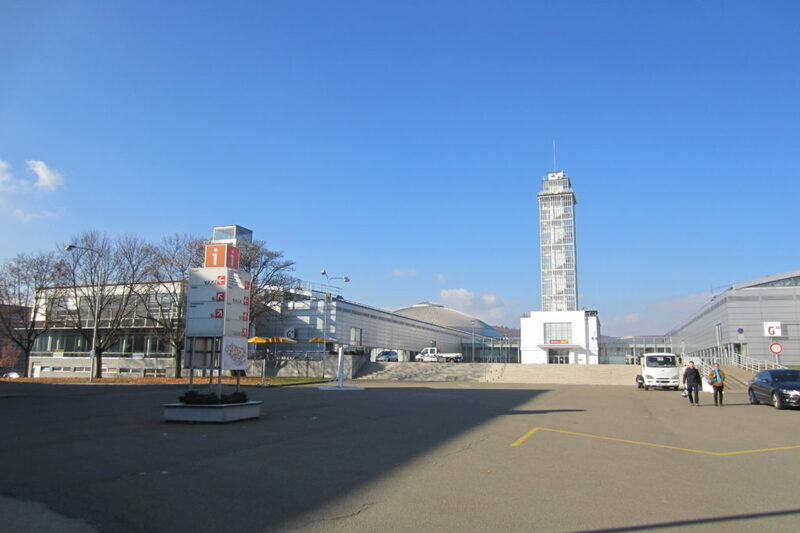 Our offices are located inside Brno Exhibition centre.